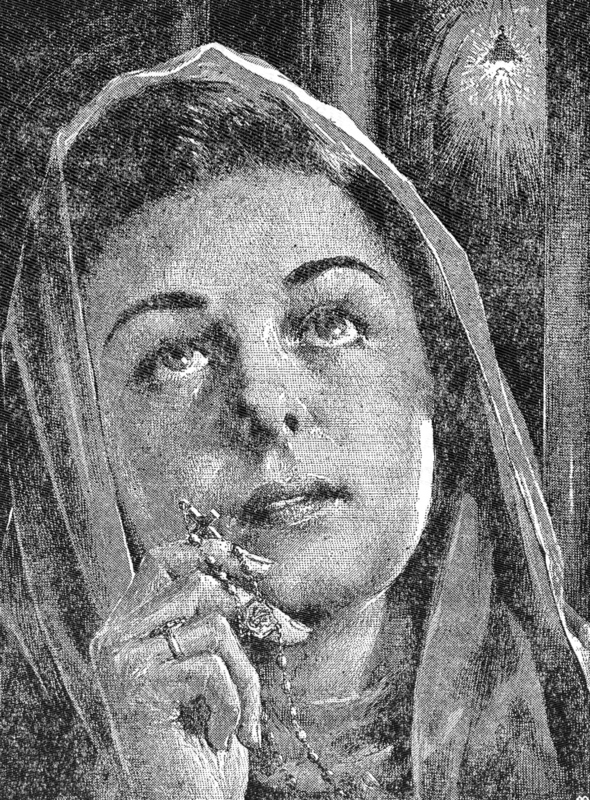 Catholics usually begin and end their prayers with the Sign of the Cross. The words of this prayer express faith in the mystery of the Trinity, Father, Son and Holy Ghost; the cross made with the hand while saying the words expresses belief in the redemption accomplished by Christ on the Cross. The Sign of the Cross is correctly made by touching, with the joined fingers of the right hand, the forehead while saying In the name of the Father, the breast while saying and of the Son, the left, then the right shoulder while saying and of the Holy Ghost. Amen. In the name of the Father, and of the Son, and of the Holy Ghost. Amen. Indulgence of 3 years; when made with holy water, 7 years. This profession of faith summarizes the teaching of the Apostles. According to a legend, each of the Apostles contributed one of its twelve articles. But the present form of the Creed seems to go back to about the third century. This is the prayer taught by Christ Himself (Matt. 6:9-13). The Our Father contains seven petitions, three of them concerned with God’s glory, four with man’s needs. This prayer has three parts: 1) the greeting of the Angel Gabriel to Mary at the Annunciation (Luke 1:28), 2) the greeting of Elizabeth to Mary at the Visitation (Luke 1:42), and 3) a petition added by the Church. The custom of adding a short formula of praise at the end of the other prayers was common in the synagogue, and has been adopted also by Christians. The Glory be to the Father is the customary form of praise with which Christian prayers are concluded. 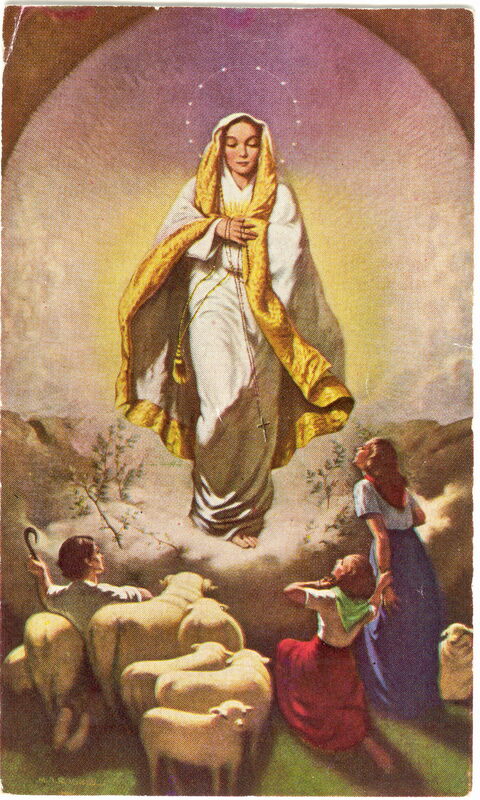 Prayer given to the shepherd children by the Blessed Mother to be said at the end of each decade. Hail, Holy Queen, Mother of Mercy, Hail, our life, our sweetness, and our hope! To Thee do we cry, poor banished children of Eve, to Thee do we send up our sighs, mourning and weeping in this valley of tears. Turn then, Most gracious Advocate, Thine eyes of mercy toward us; and after this our exile show unto us the blessed Fruit of Thy womb, Jesus. O clement, O loving, O sweet Virgin Mary! P. Pray for us, O Holy Mother of God.